Do you ever have one of those days when one thing seems to draw you to another as if it’s a secret to be discovered ? Today was one of those days for me. 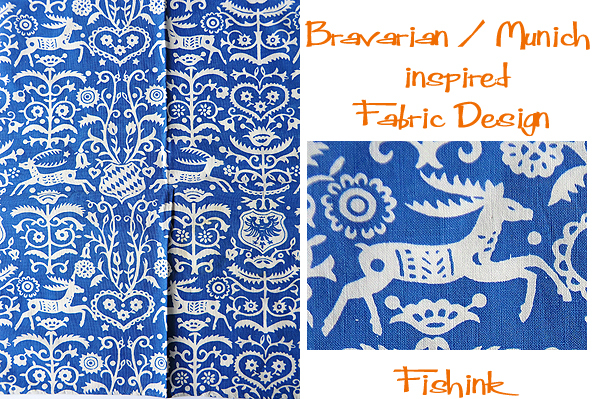 I came across some fabric that my friend’s German mother had given to him. It strongly reminded me of something that I had seen a while ago on the internet. And I soon discovered, it was this lovely tea towel by illustrator Lotta Glava, but it wasn’t German or even Austrian but Swedish. 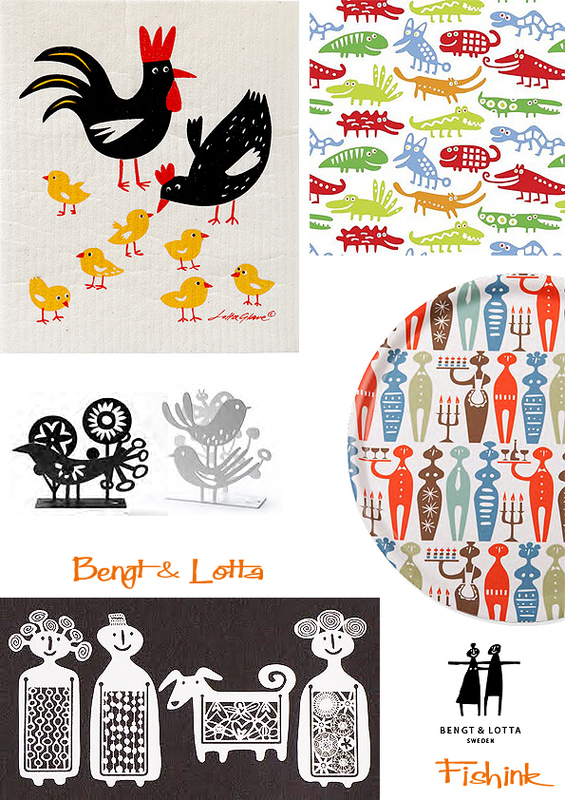 I then looked into the work of Lotta and her partner Bengt and discovered a whole new world of beautiful and stylish Swedish design. Bengt Lindberg and Lotta Glave were a couple already at university, studying graphic art and illustration. After graduating, Lotta got a job at one of Sweden’s main newspapers, Dagens Nyheter and Bengt at an ad agency that turned out to be a pretty boring job. Neither of them could resist the flow of creative ideas that kept coming. 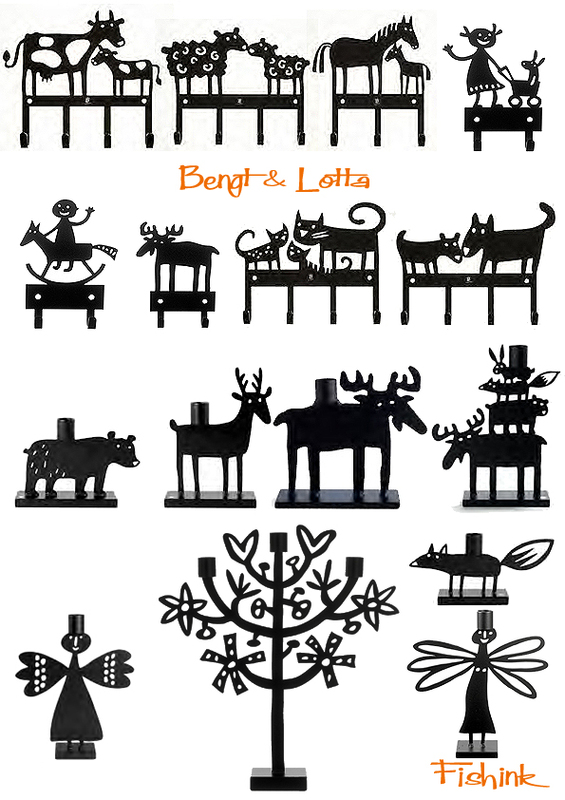 For Bengt, it all started with a cow, which became a cast iron candleholder. The cow was soon accompanied by a sheep, a horse and an elk, all produced in Småland, Bengt’s home county. Bengt made sure to launch them in all the right stores and as for the elk, it coincided with the enormous interest in elks from German tourists who would even steal the road signs of elks when visiting Sweden! The four classics are still in production and have spread all over the globe, from Sweden and Germany to the US and Japan. 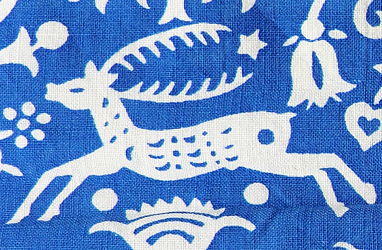 But it didn’t stop there; the animals soon also populated printed fabrics, blankets and notebooks. Here’s just a taster. Bengt was born in Värnamo, in Sweden but his grandparents had a farm in Skåne, filled with objects of art, handicrafts and nick-nacks. 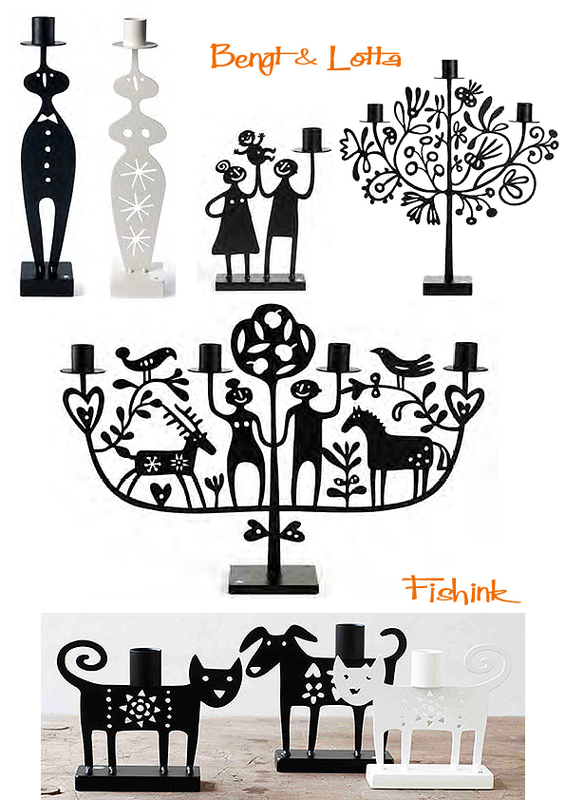 I have always loved old things, says Bengt, especially the slightly naïve, clumsy folk art stuff. When things are too perfect they also get to be boring. The ironwork on their company site is fun and quirky. Lotta Glave, who stems from Malmö believes a lot of her inspiration comes from her Austrian grandmother who worked as an illustrator and bookbinder. Their home was always filled with fun, homemade creations like fantastic doll’s houses made out of lacquered paper! I love stuff that is fun, different and makes you happy, says Lotta who got drawn into the family business when Bengt asked her to draw an angel. 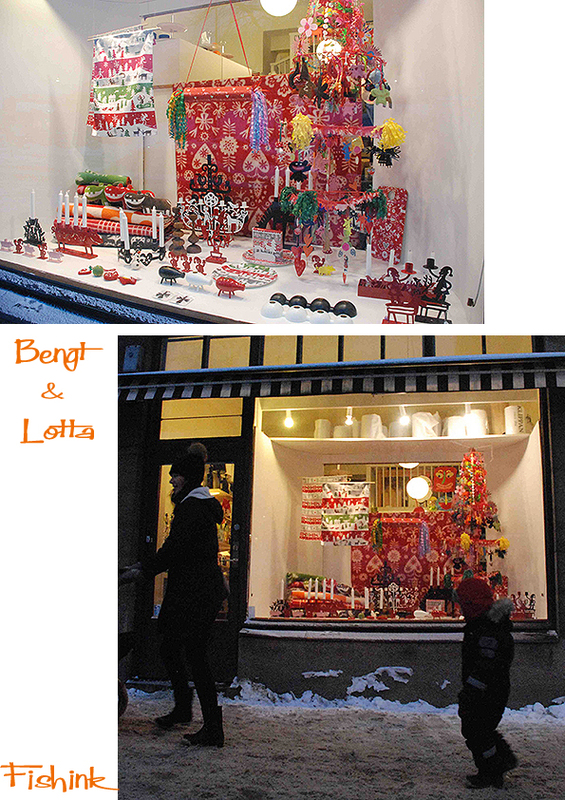 Like Bengt’s animals, Lotta’s angel has spread from candleholders and Christmas tree decorations to necklaces and fabrics. 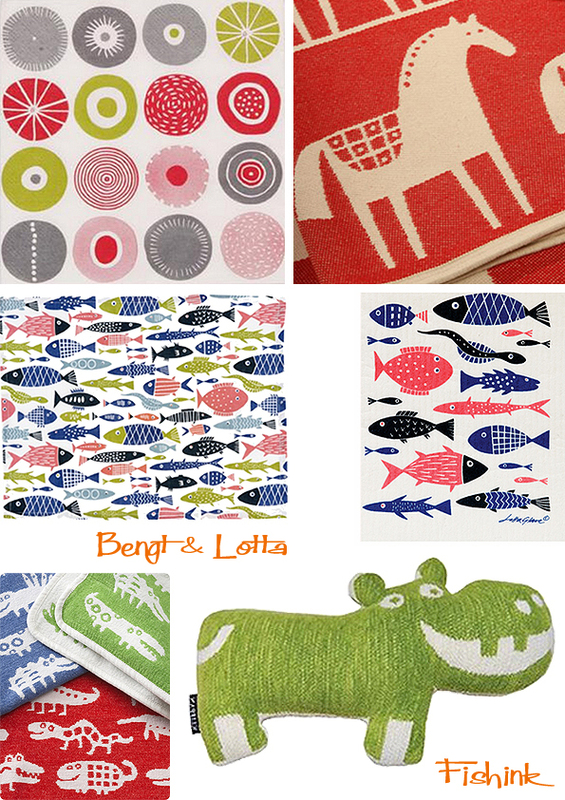 Nowadays, Lotta designs most of the patterns; designs that are appreciated all over the world, not least in Japan and the U.K.
materialised yet. 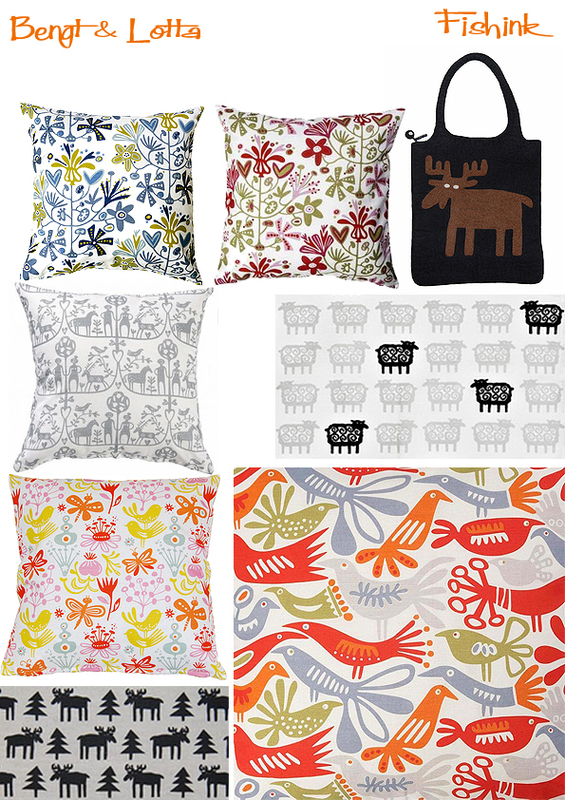 Here’s a couple of christmassy images of their shop…. this alone makes me want to go ! 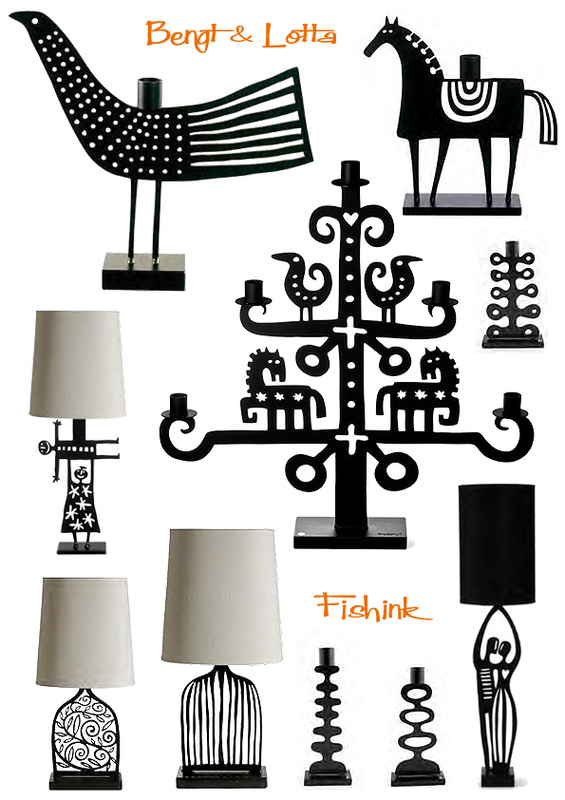 Many thanks for the info and images from Bengt & Lotta and Scandinavian design site Fjorn also well worth a look. ← Aurelius Battaglia Disney Illustrator creating midcentury artwork. Oh! You didn’t know about them! Glad you do now- you see, you NEED to get to Stockholm. Love their stuff and have a few bits and pieces. 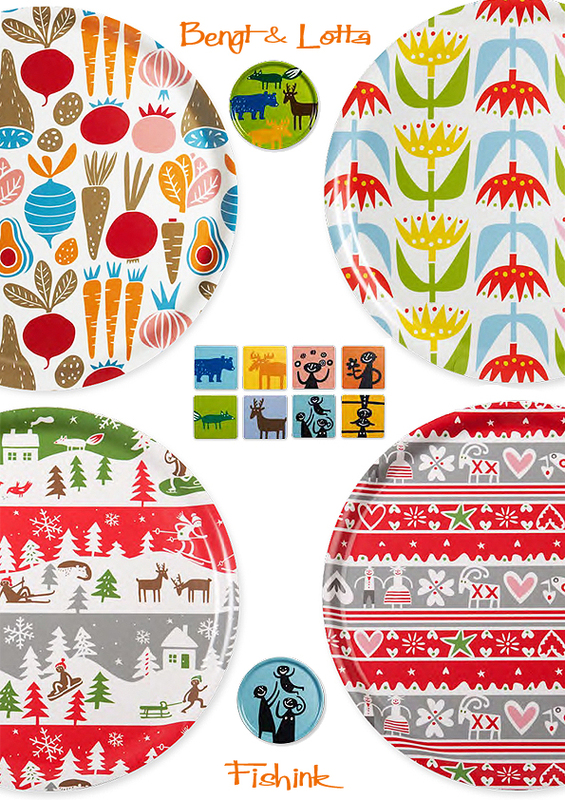 Have a look at Swedish dish cloths- made of cellulose, last for ages and ages and lovely designs, google Swedish dish cloths…washing up finally becomes a pleasure, I am addicted to them. I’m happy to say, no.